The Peter Grahame Collection forms part of the British Stand-Up Comedy Archive. The majority of the Peter Grahame Collection contains records of the running of Downstairs at the Kings Head comedy club, established in 1981 in Crouch End, London. Material includes promotional flyers and listings, correspondence, contracts, bookings diaries and account books. The Collection also includes material related to Peter's other professional work, such as his involvement in comedy festivals in the UK, Ireland and America, and work in London with the Great Northern Theatre and the Comedy Café. 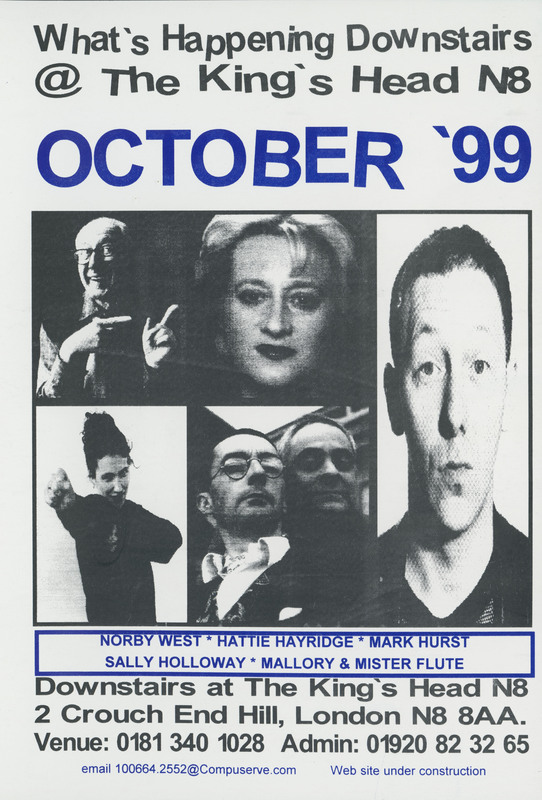 Also included in the deposit are collections of comedy magazines (such as 'Deadpan', 'Comedy Review', 'Heckler') and local magazines of Crouch End and Haringey. Catalogued: Yes. Browse the archive catalogue.